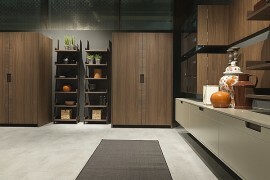 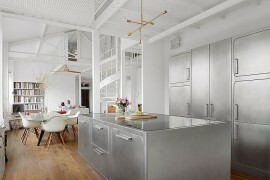 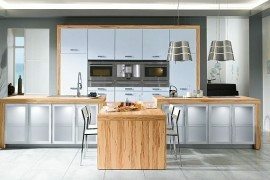 When we think of the kitchen, the thing that first crosses our mind is often its style, color scheme or the design of the kitchen island in relation to the rest of the space. 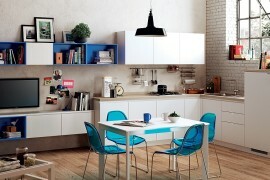 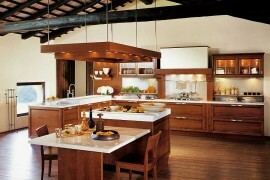 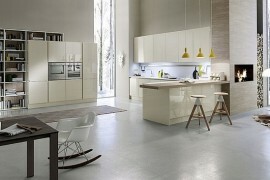 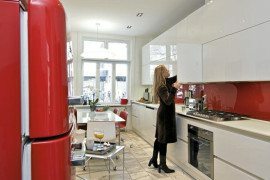 Then we start to worry about the kitchen cabinets along with the appliances and the lighting. 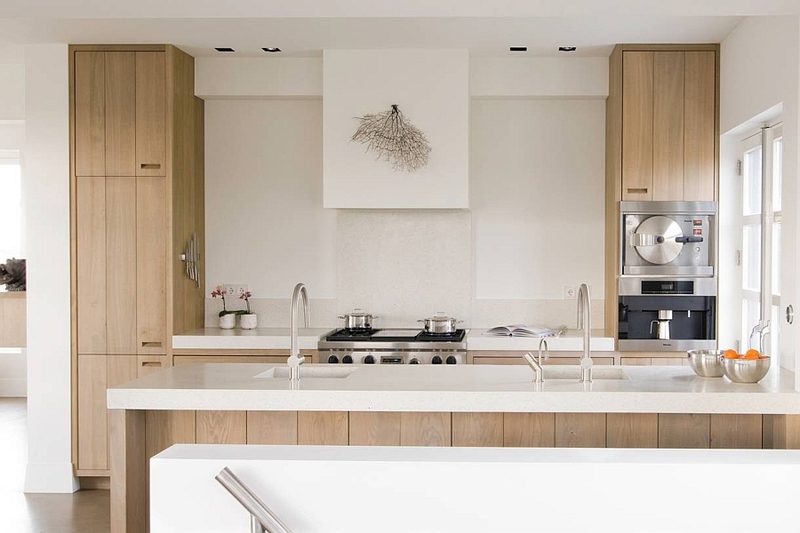 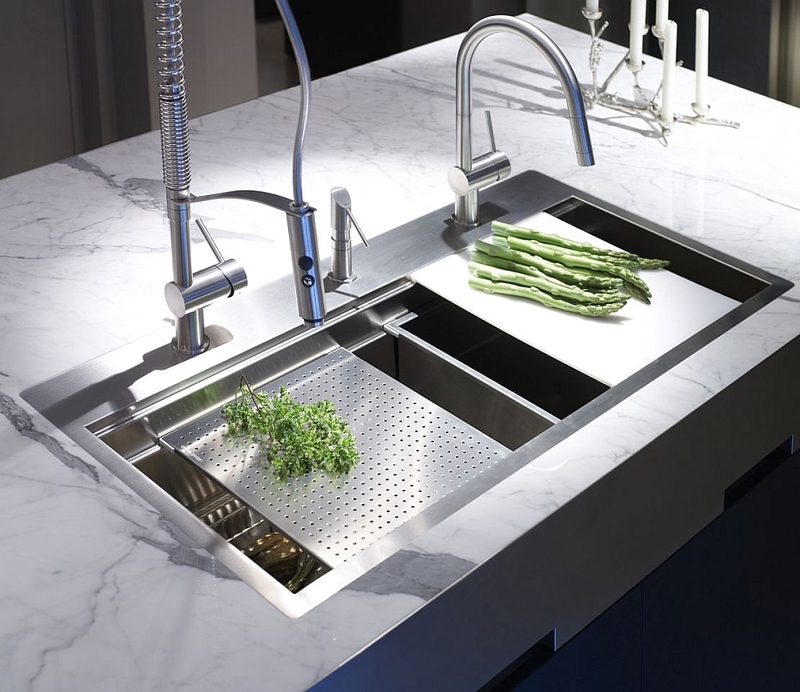 But one part of the kitchen to which we pay little attention is the faucets, which end up complementing and enhancing the appeal of both your prepping area and the kitchen island. 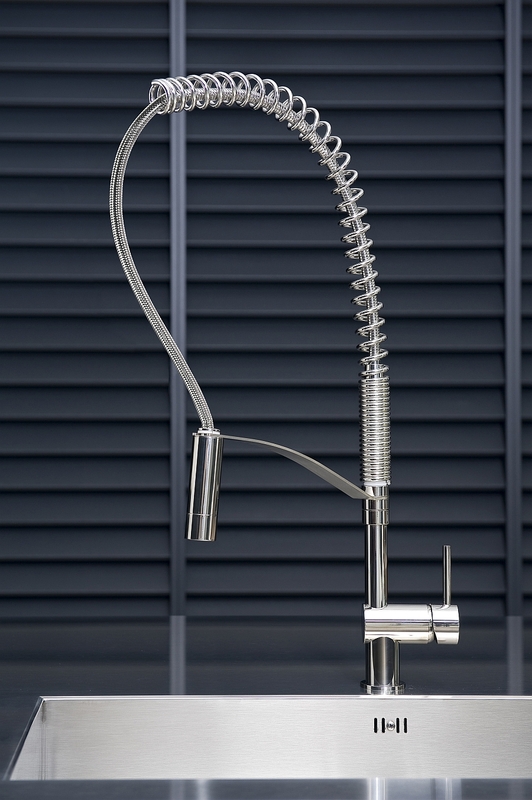 Crafted in sparkling stainless steel and bringing a touch of Italian class to your kitchen, though, is the latest collection of cutting-edge kitchen faucets from MGS. 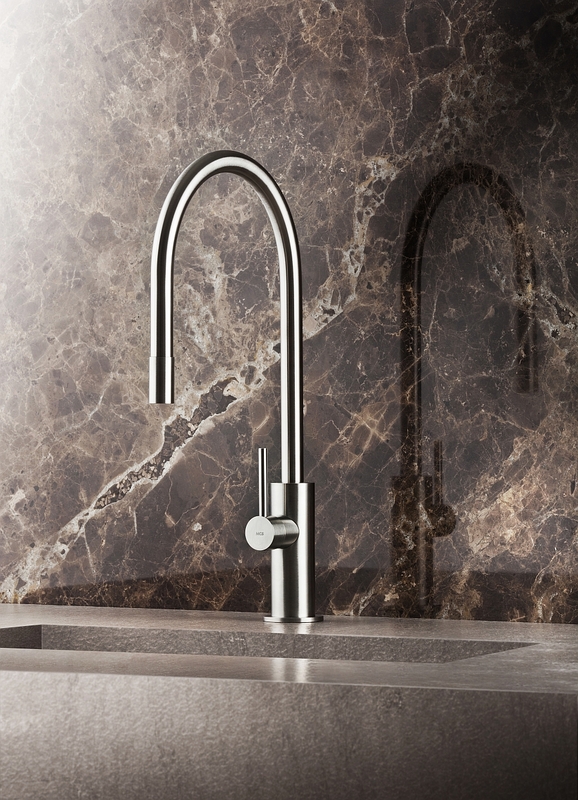 The VELA and SPIN Collection from MGS feature sleek, contemporary faucets that range from the minimal to the dramatic. 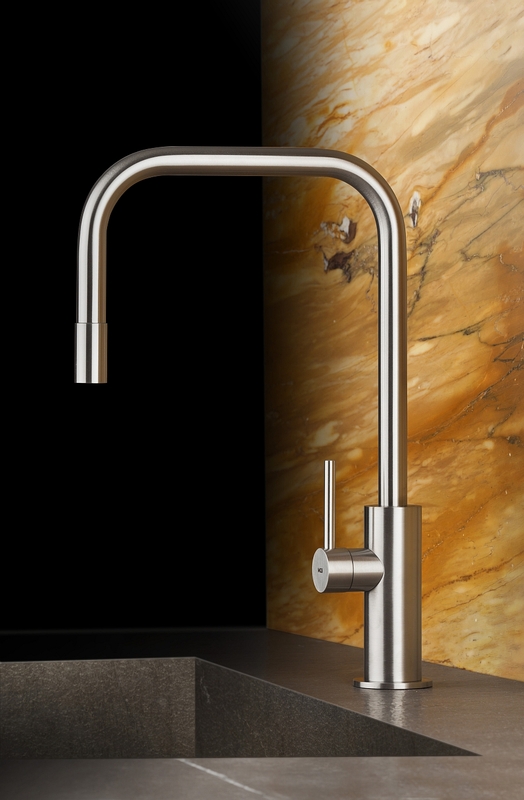 While SPIN is characterized by its simplicity and elegant curves, VELA makes a more dramatic visual statement with its tall and exclusive silhouette. 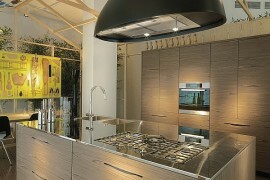 Each of the fixtures is hand-polished and available in matte or glossy finish. 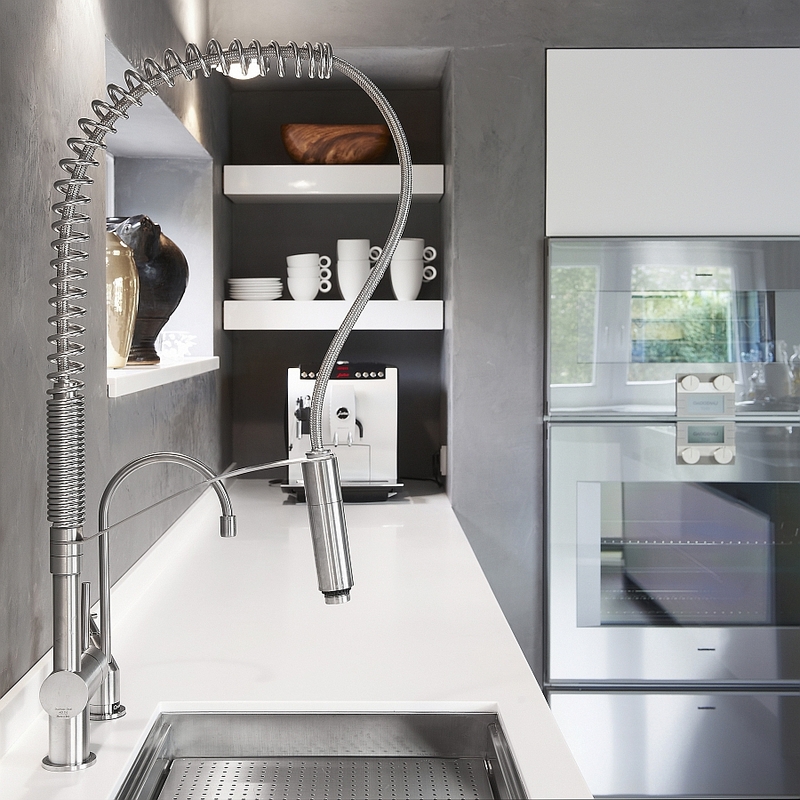 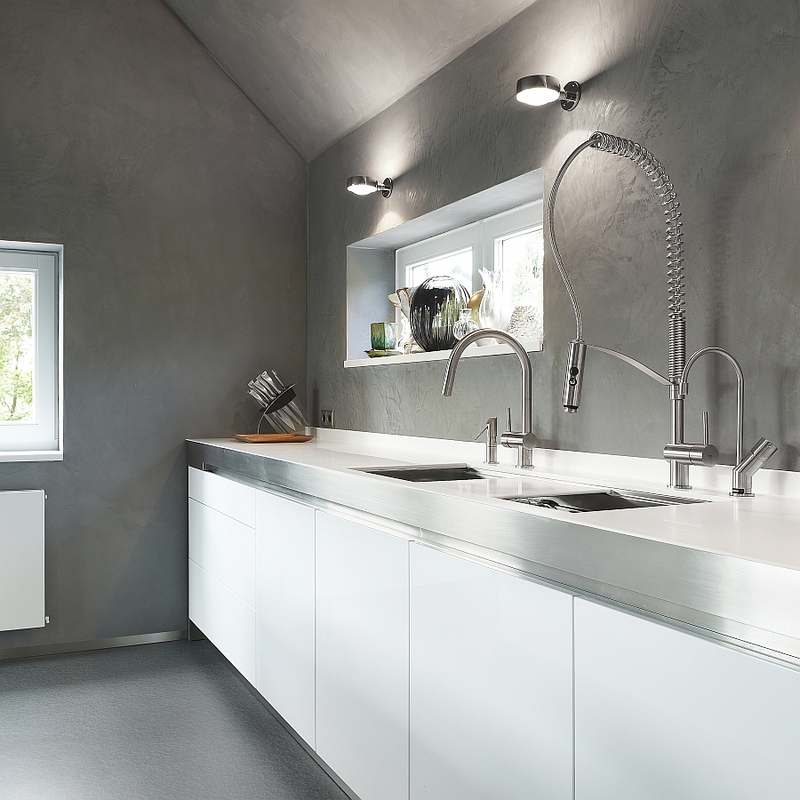 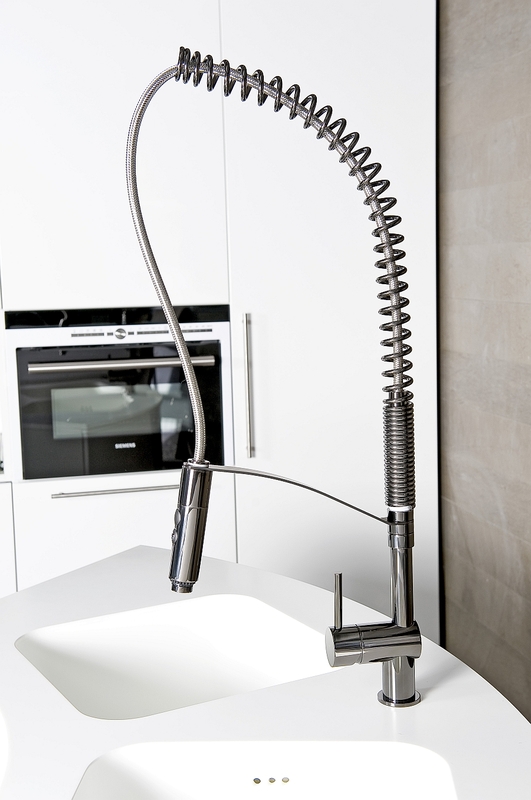 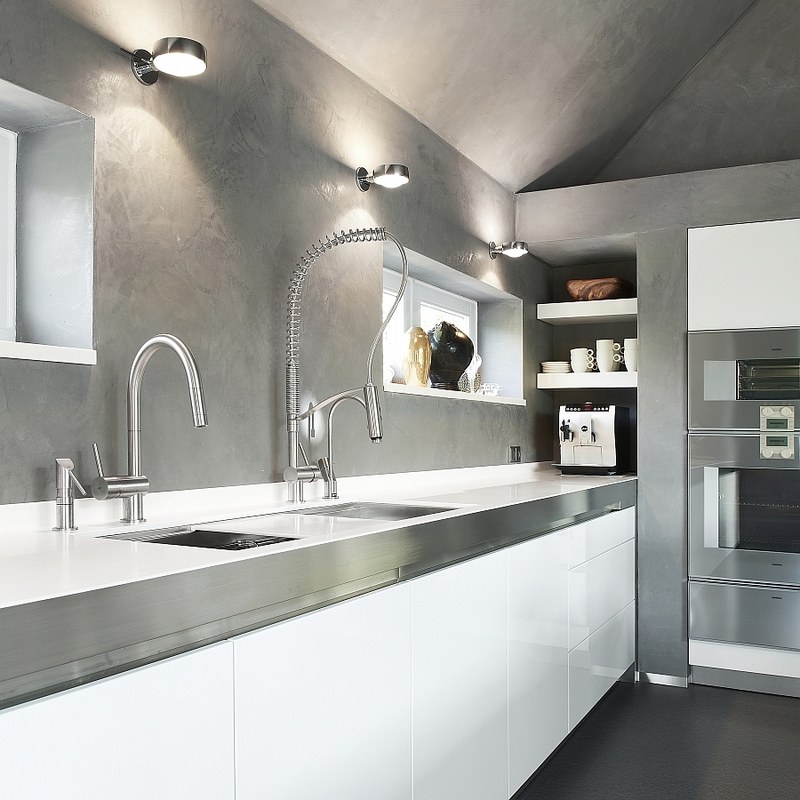 With stainless steel becoming such a popular choice in the modern kitchen due to the ease of maintenance and longevity, these ergonomic faucets are impressive additions that blend form with functionality in an effortless manner. 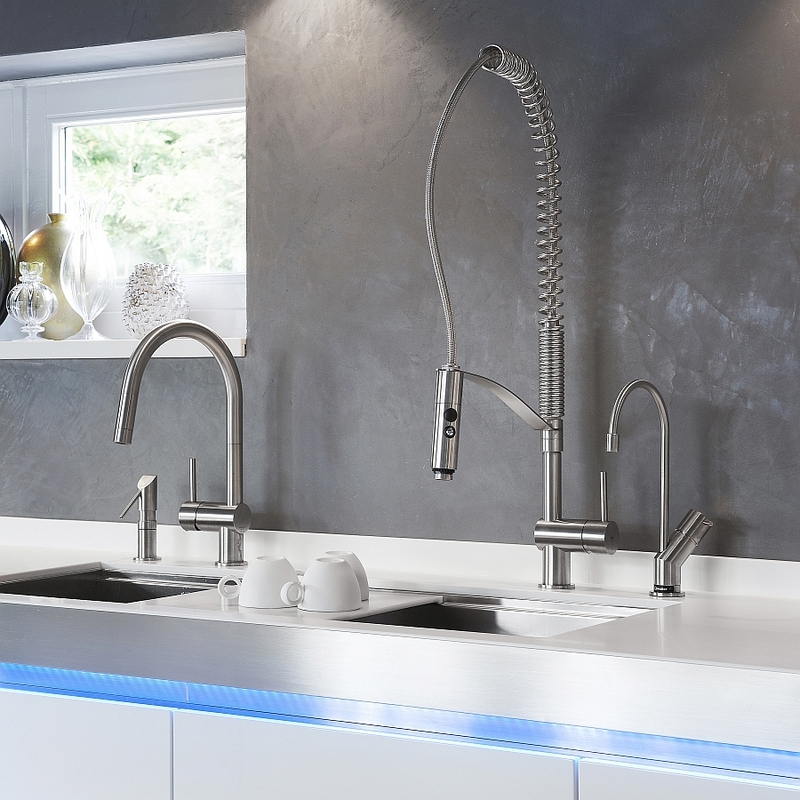 From faucets that give the option of a pull out spout to dual spray outlets that are uber-convenient, there is something for everyone in this exquisite lineup. 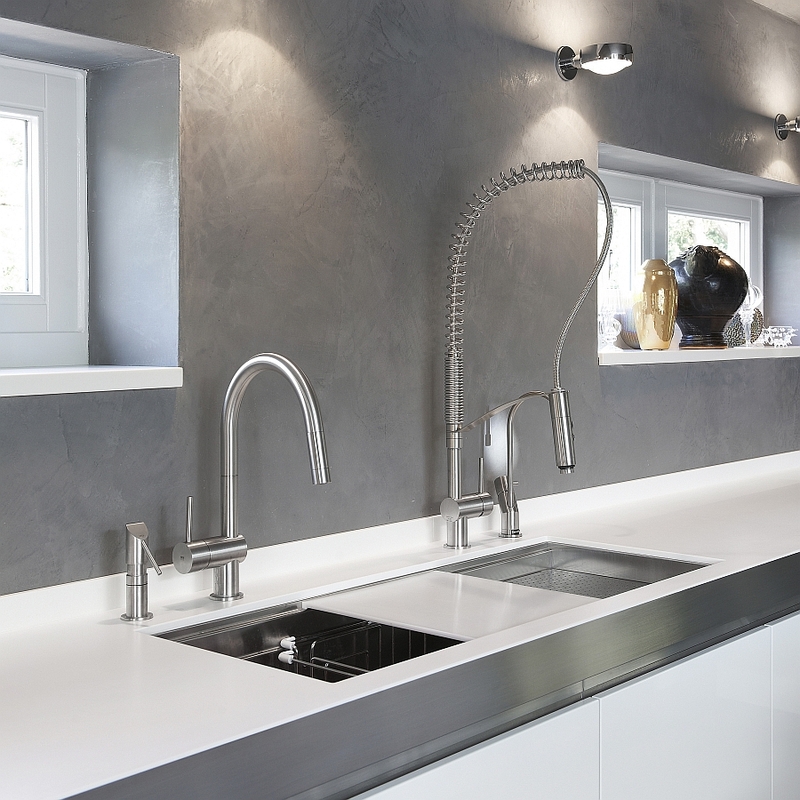 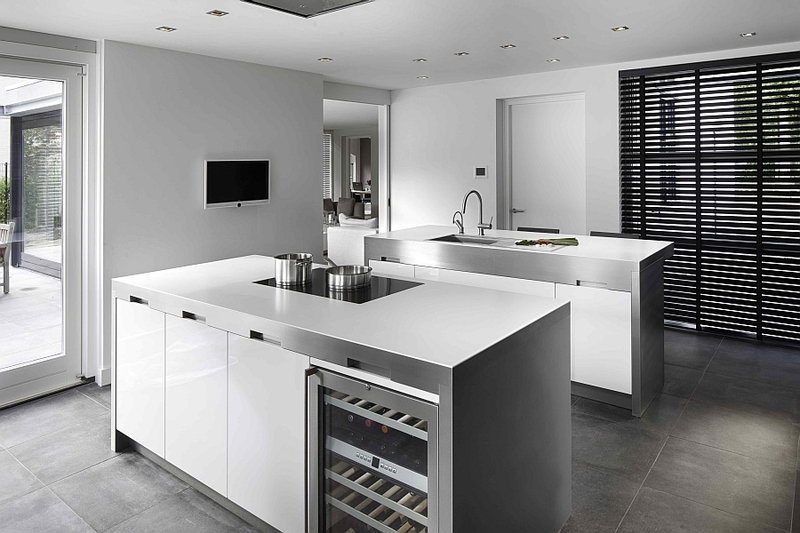 Fitting in seamlessly with almost any kitchen style that you have going, these graceful fixtures promise to bring an air of exclusivity to your kitchen with some Italian panache!